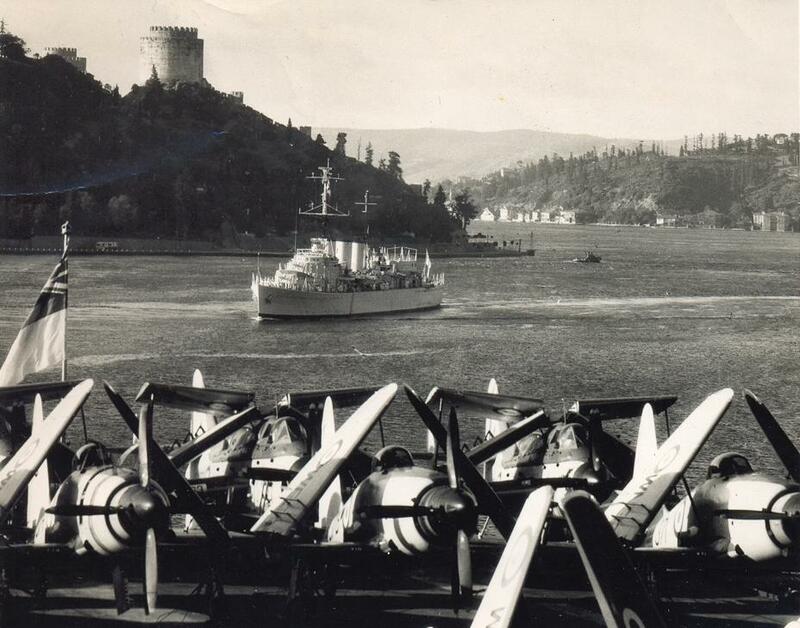 HMS Manxman in the Bosphorus, taken from HMS Eagle in the 1950s. 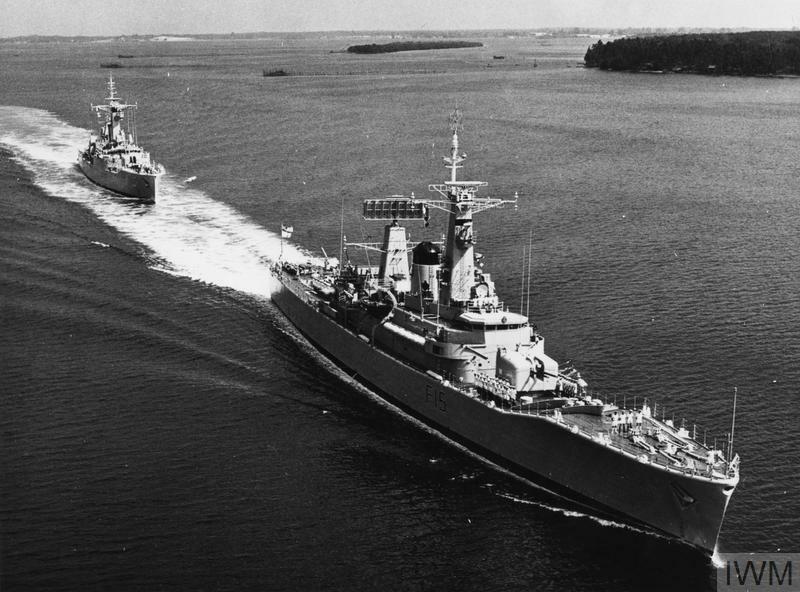 others saw post-war service, and the last example was scrapped in the early 1970s. 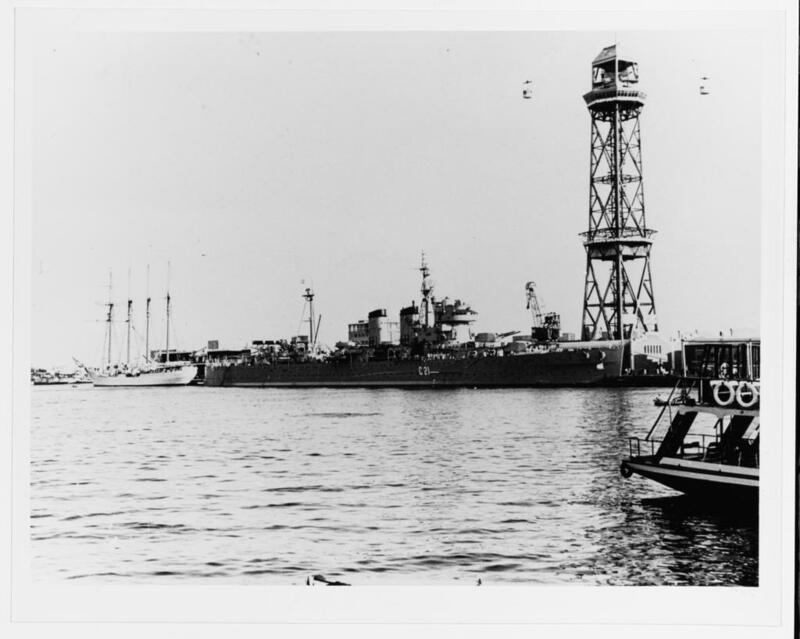 Spanish heavy cruiser Canarias at Barcelona, Spain, in about 1970. 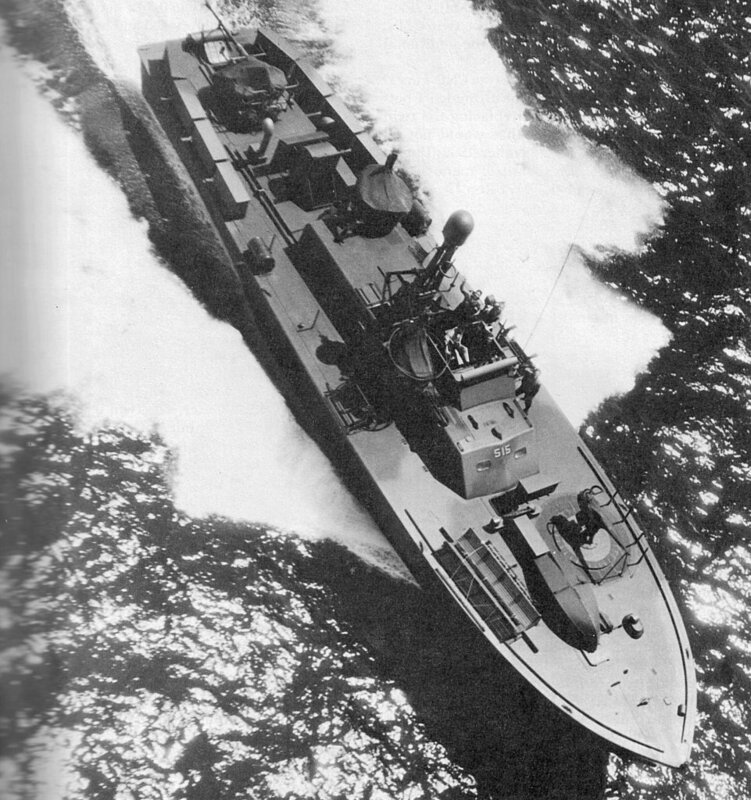 Canarias was basically a modified County Class cruiser. 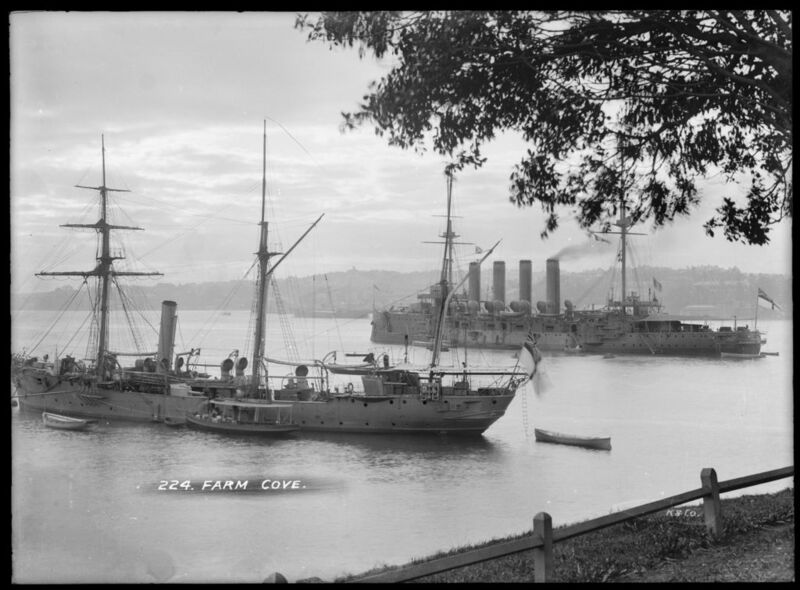 Great photos Mike esp Farm Cove early last century. 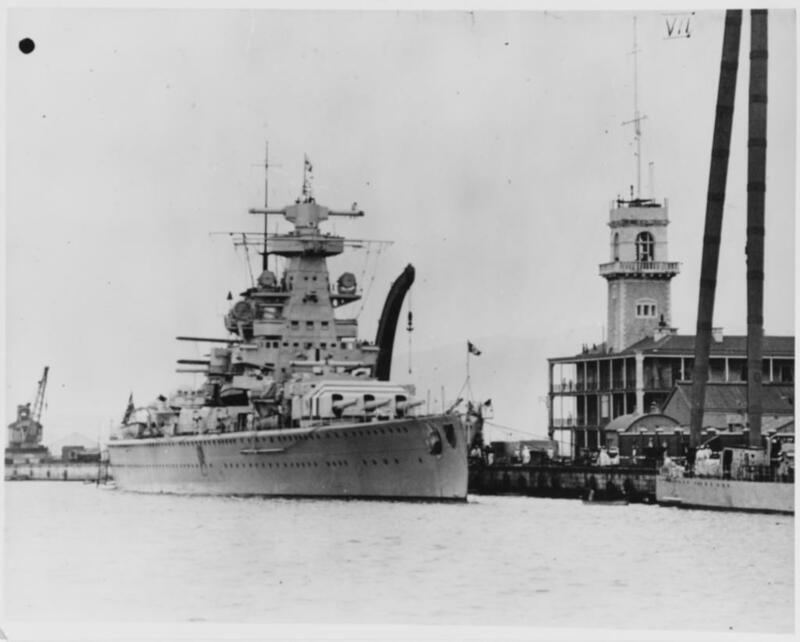 Admiral Scheer at Gibraltar, circa 1936. 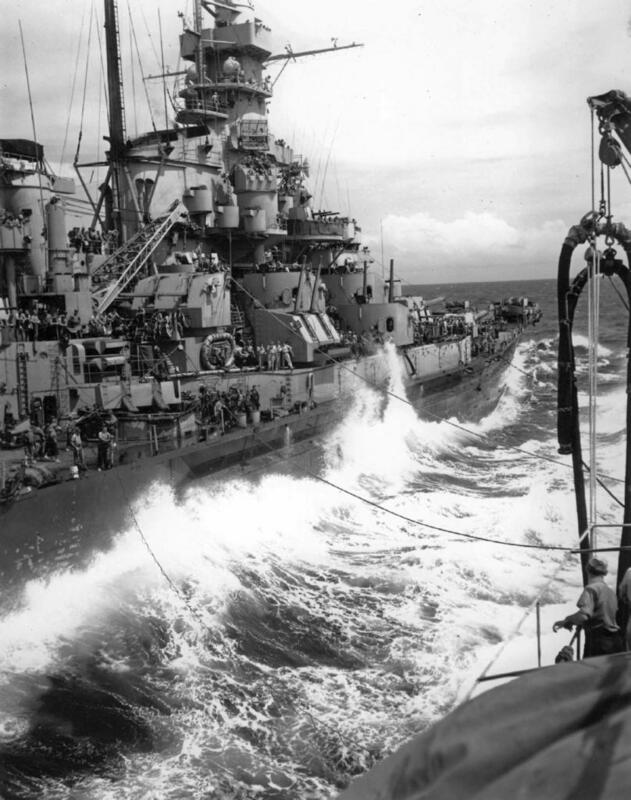 Note the Spanish Civil War neutrality markings (red, white & black stripes) painted on her forward gun turret. 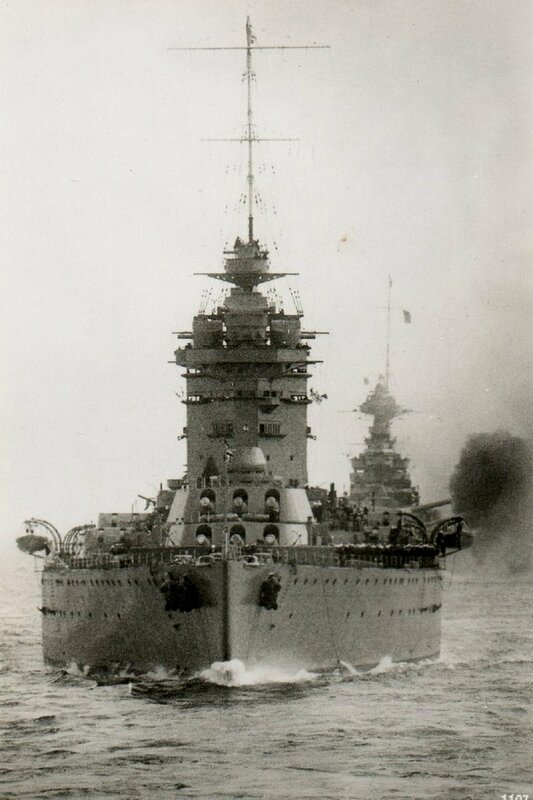 HMS Hood not long after completion. 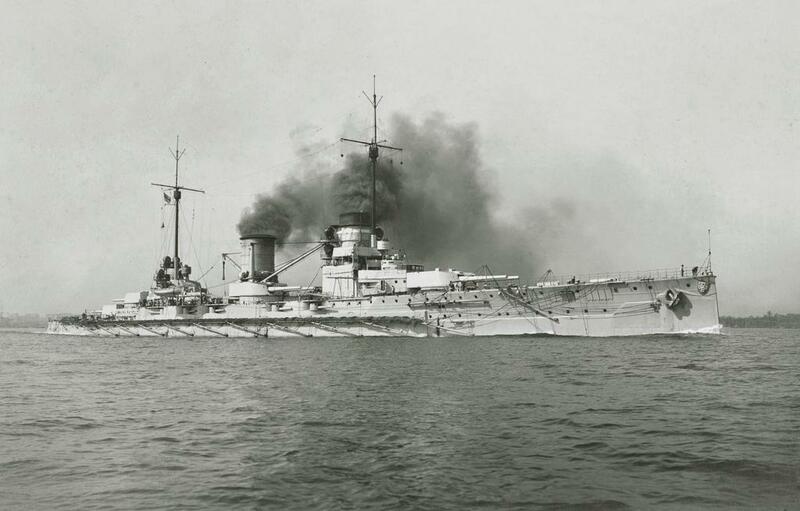 Given this image is over a century old, a wonderfully clear shot of the lead ship of her class of battlecruisers, SMS Moltke. Rare colour shot of a Daring. 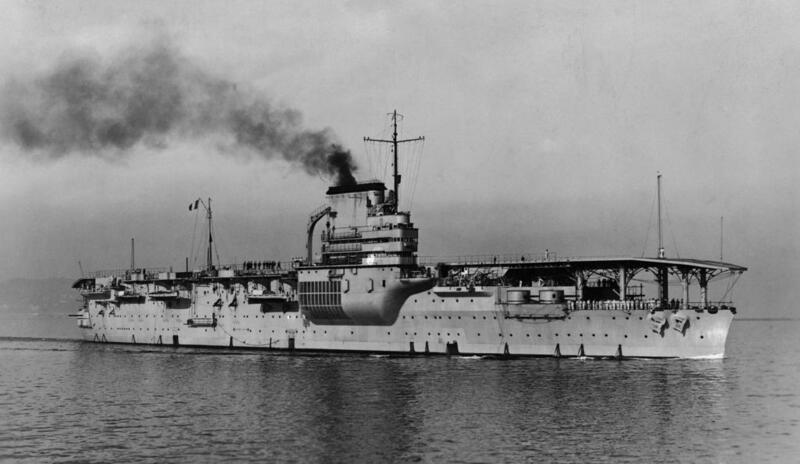 French aircraft carrier Béarn. 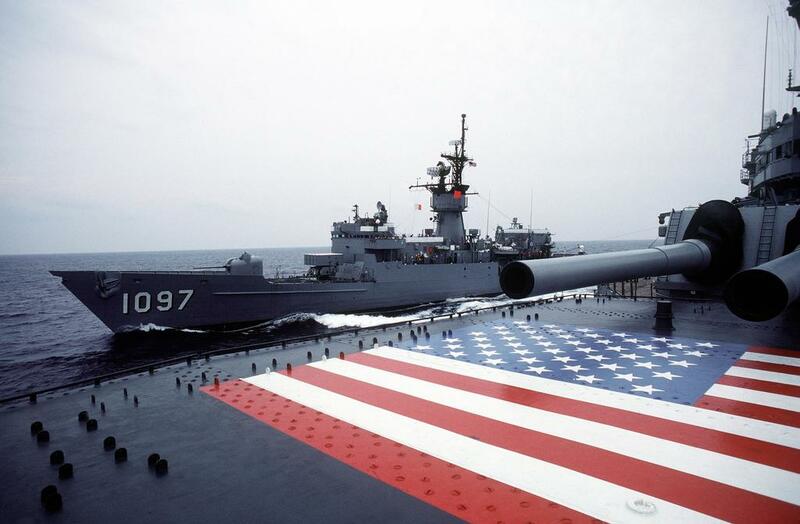 She had a long career, but never launched her aircraft in combat. 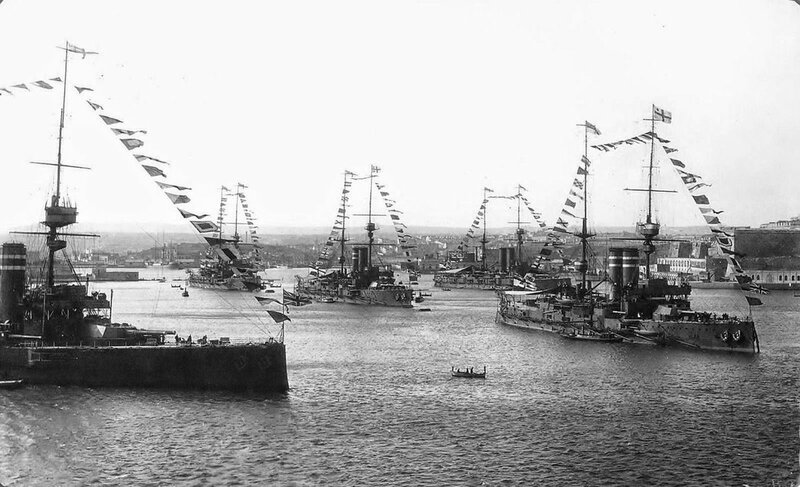 HMS New Zealand, an Indefatigable-class battlecruiser, during her visit to her namesake country in 1913. 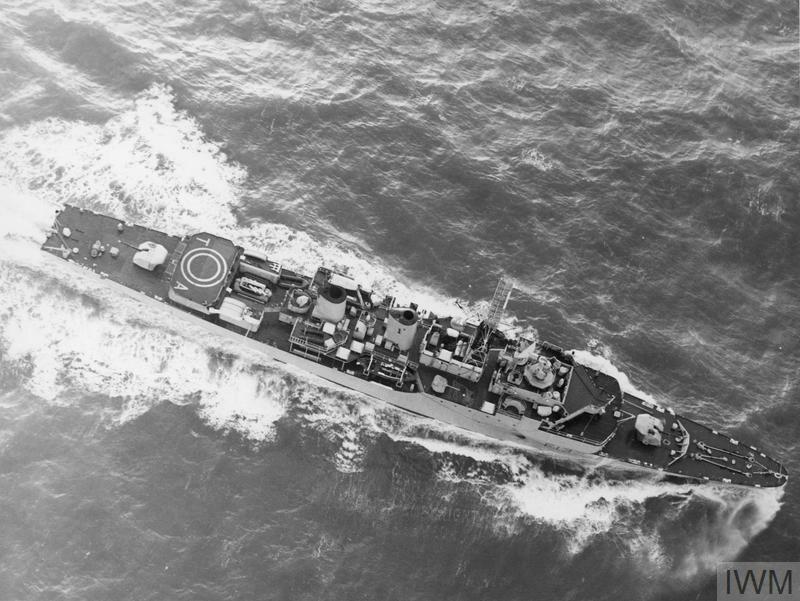 One for Michael Brown, Aerial view of Tribal-class frigate HMS Tartar (F133). 1971. 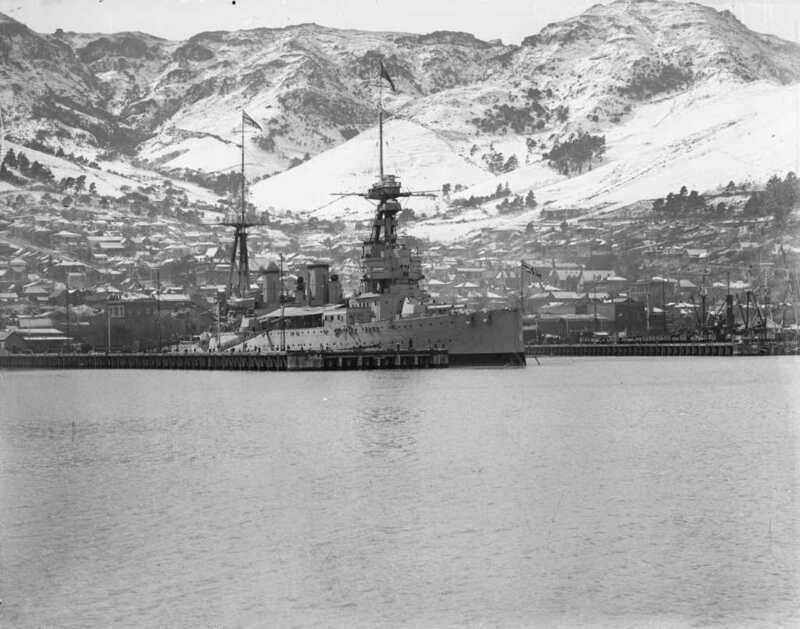 HMS Campbell which served in two world wars. 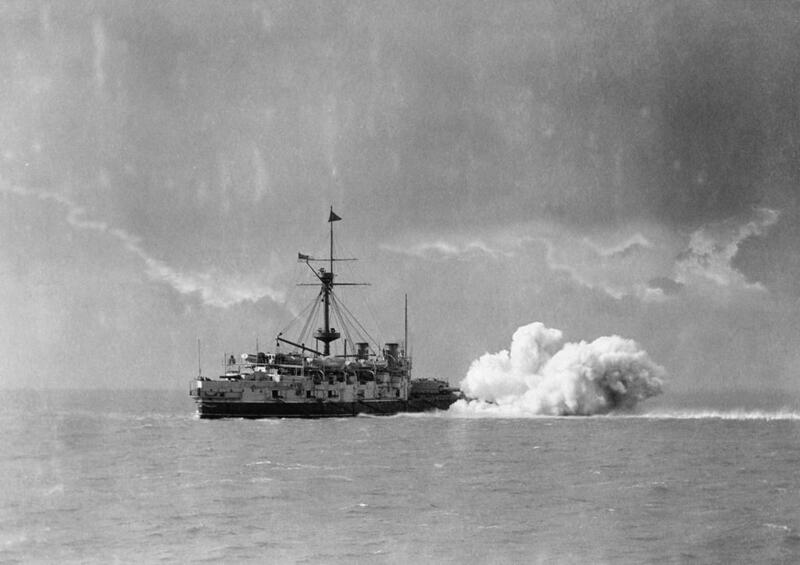 Pre-dreadnought battleship HMS Victoria firing her BL 16.25-inch Mk I guns. 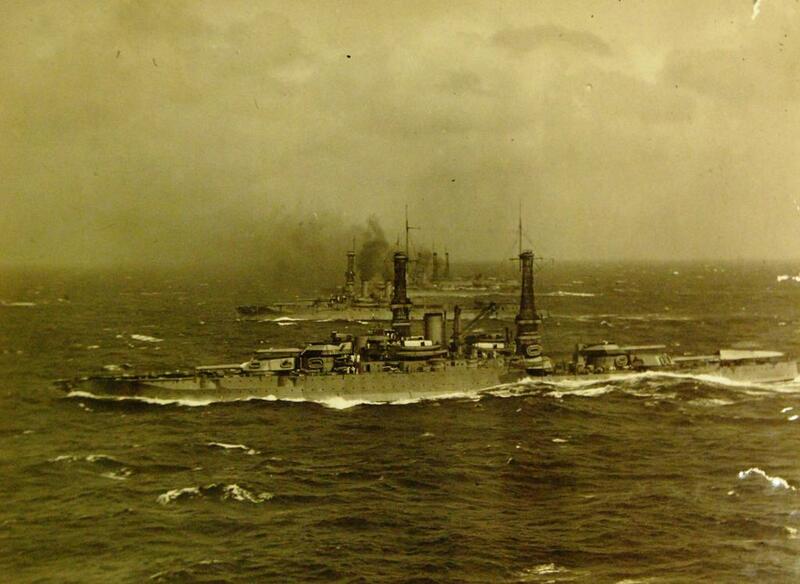 Pre-dreadnoughts, 1912: HMS Hindustan, HMS Hibernia, HMS Africa. 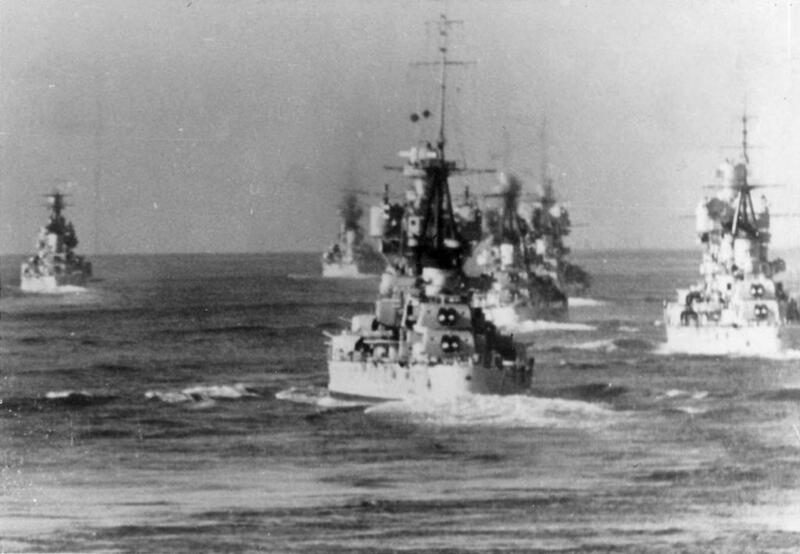 Original captions states, “Fleet at Sea, July 24, 1919.” Probably New Mexico-class battleships: USS New Mexico (BB-40), USS Mississippi (BB-41), and USS Idaho (BB-42). 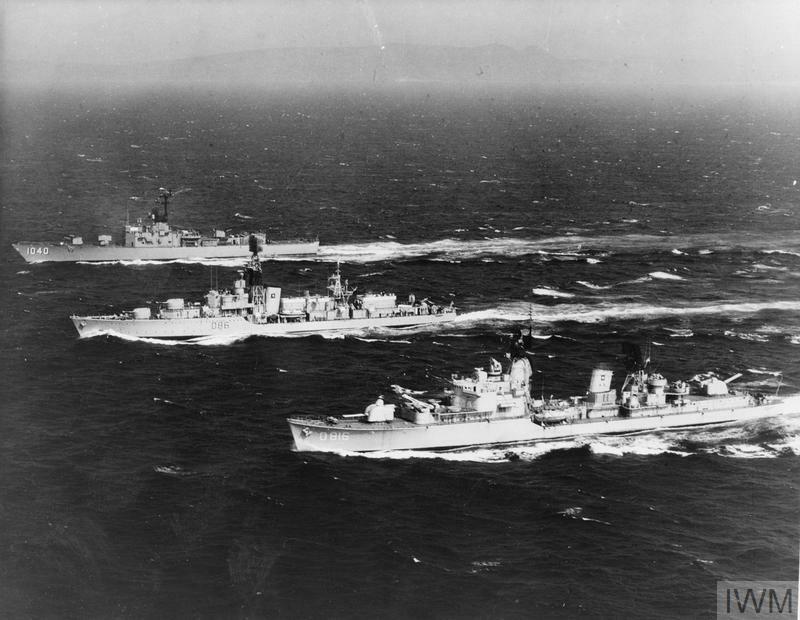 From front to rear: the Netherlands destroyer Drenthe, HMS Agincourt and USS Garcia, photographed from an RAF Shackleton of 224 Squadron based at Gibraltar. 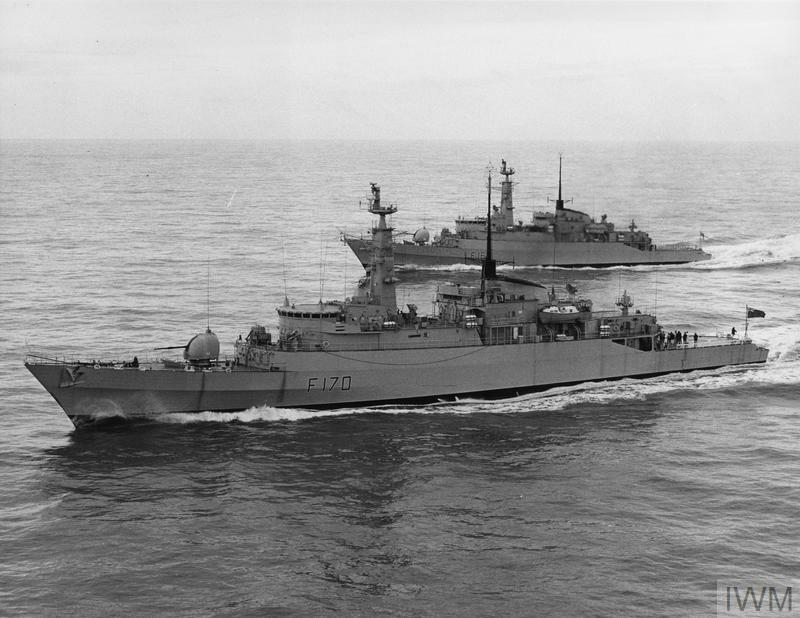 Leander-class frigates HMS Euryalus (F15) and HMS Andromeda (F57). 1970. Second Ship is not Andromeda Mike. It is a Whitby or Rothesay Class. Oh, okay, that was how the image was captioned, looks like they got it wrong. 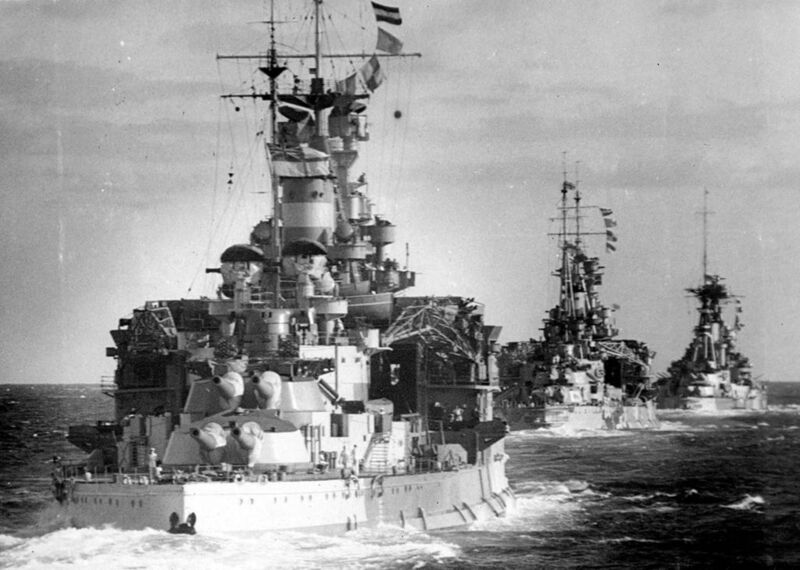 Italian heavy cruisers Bolzano, Trento, Fiume, Zara, Pola, and Gorizia a day before the Battle of Calabria, known to the Italian Navy as the Battle of Punta Stilo. 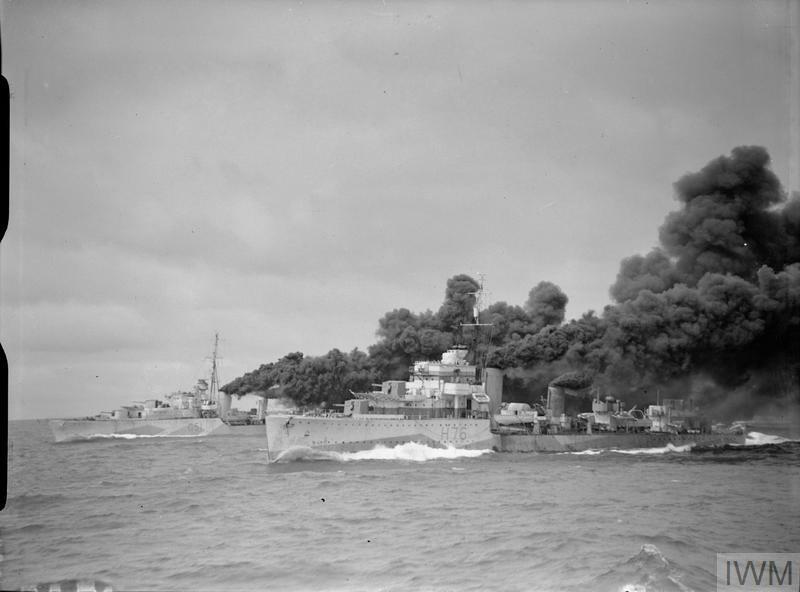 HMS Fury (in the foreground) and HMS Ashanti laying a smoke screen during destroyer manoeuvres, the photograph was taken from the destroyer Faulknor. 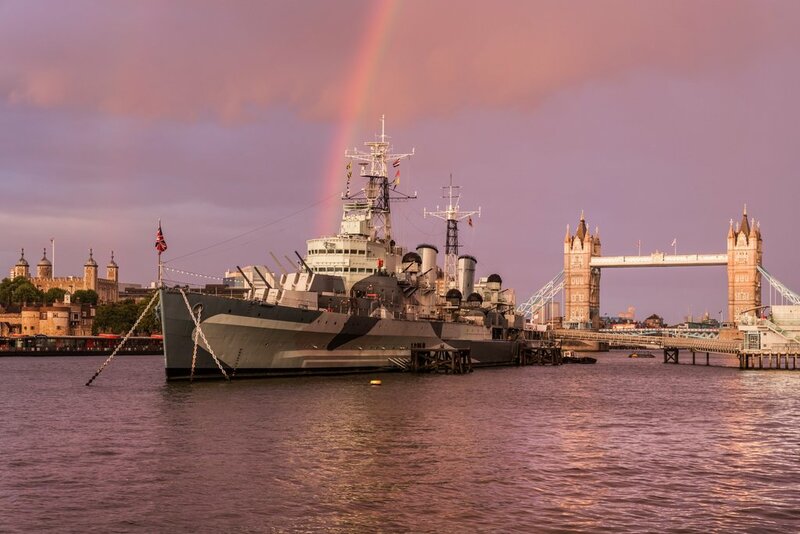 HMS Caroline. 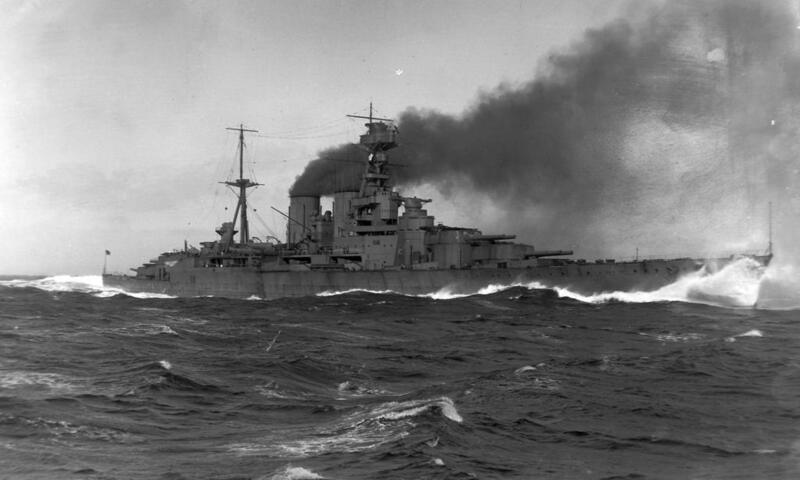 the last remaining ship from the Battle of Jutland WW1. 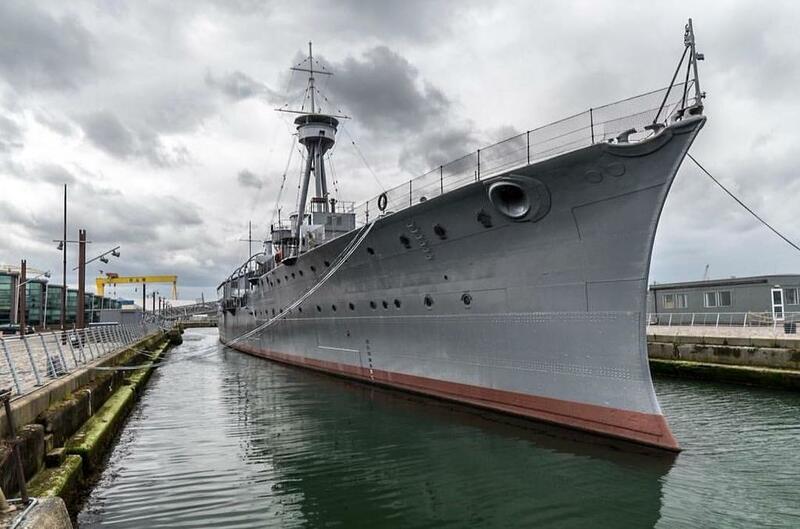 Today docked in Belfast as a museum ship.